Immersive sound for TV, movies, and music in two rooms. Easy set up and voice control with Amazon Alexa. Second generation Sonos One with increased memory and updated processor. Blends great sound with Amazon Alexa, the easy-to-use voice service, for hands-free control of your music and more. Beam's compact and versatile design make it great for rooms where space is at a premium. Beam and Sonos One are part of the Sonos sound system, so you can easily add more speakers to fill every room with sound. Upgrade your TV with our most advanced soundbar. Play everything that matters to you. TV. Movies. Music. Radio. Podcasts. Audiobooks. Games. AirPlay. 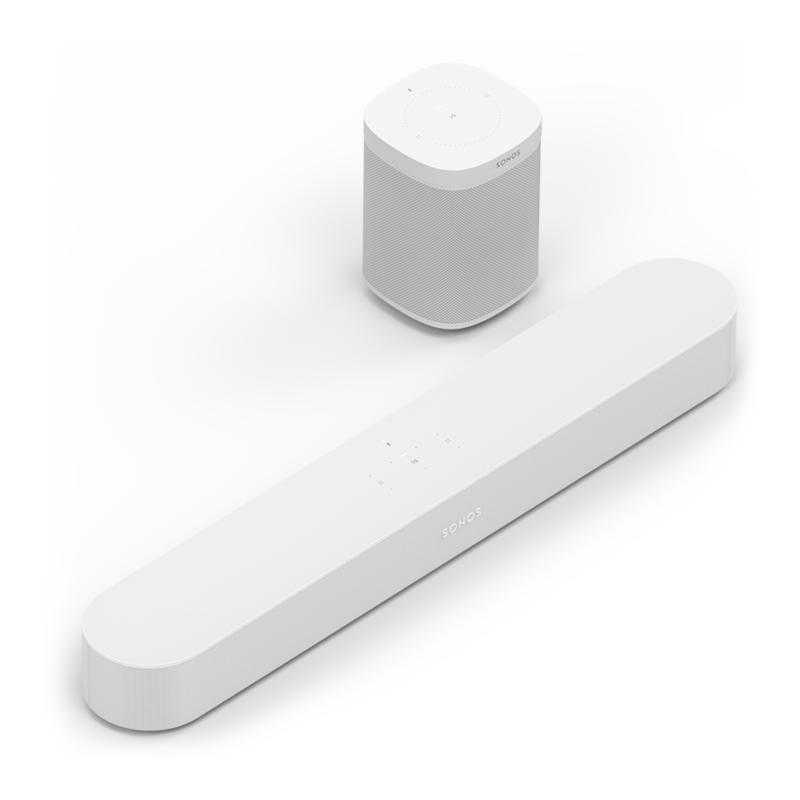 Control Sonos Beam with your voice, the Sonos app, AirPlay, or your favorite music service's app. Use your voice with Amazon Alexa to control Sonos. Sonos One is backed by a pair of Class-D amplifiers and custom-built drivers, meticulously tuned for rich, room-filling sound. 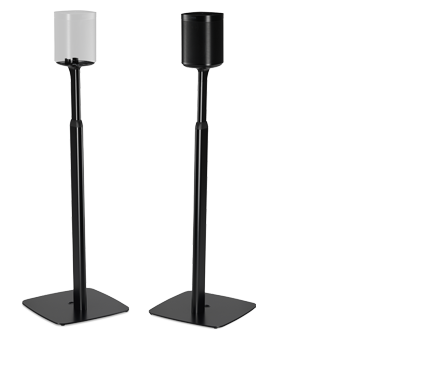 An illuminated LED indicator light ensures you always know when your speaker’s microphone is active. Or turned off. 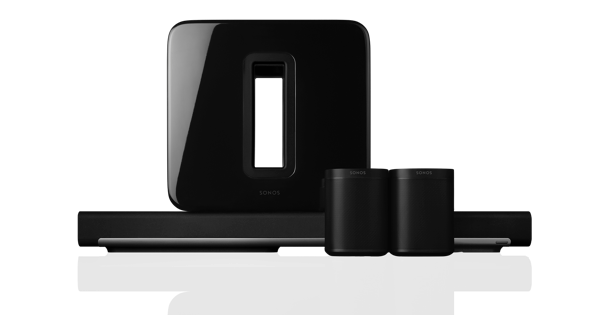 Pair two Sonos Ones together in the same room for instant stereo sound. 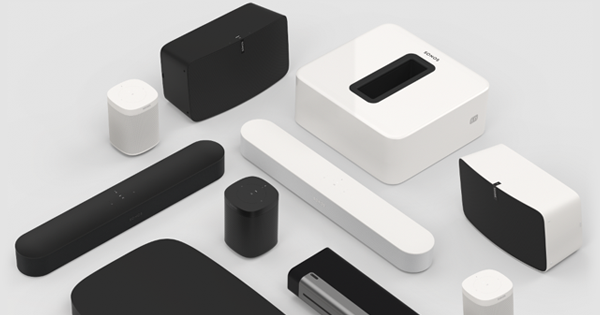 Use Sonos One in music starved places like bathrooms and outdoor patios. All you need is Wi-Fi and a power source. Built on the mini-but-mighty blueprint of Play:1, Sonos One is backed by a pair of Class-D amplifiers and custom-built drivers, meticulously tuned to the speaker’s unique acoustic architecture. 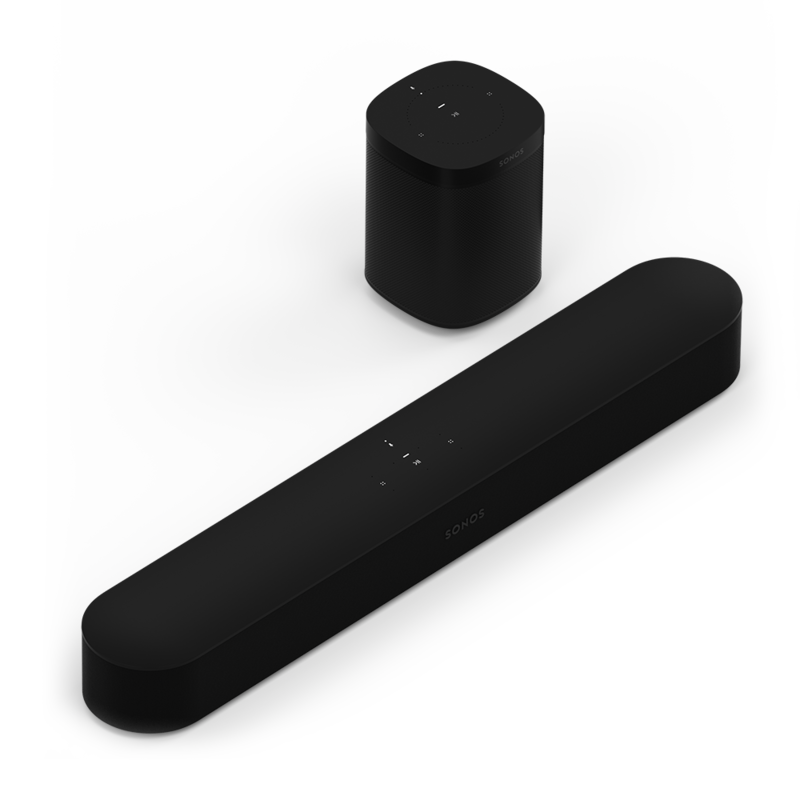 Use Sonos One on its own, pair two together for instant stereo sound, add a Sub for deep bass, or pair with your Beam, Playbar, or Playbase for epic wireless home theater surround sound.